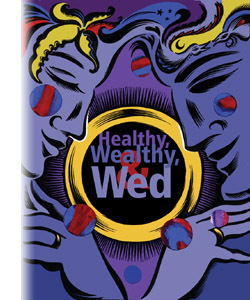 Healthy, Wealthy, and Wed - Like exercising and eating right, getting married, says Chicago sociologist Linda Waite, is another step towards living longer and better. Rural Route - Vermont lawyer Peter Langrock, AB'58, JD'60, took the road less traveled. For him that made all the difference. Chicago's Starting Team - The inaugural class of the Athletics hall of Fame includes 25 men and women with outstanding contributions to intercollegiate sports at Chicago. Webbed Footage - A Chicago biologist focused his lens on this summer's Botany Pond duck family, hatching half a gigabyte of photos and a deeper appreciation for the quads' bit of wilderness. The Zen of Education - The place: Rockefeller Chapel. The event: the annual "Aims of Education" address to College first-years. The conclusion: education has no aims.